iscover Korcula, island with untouched nature and great cultural heritage. 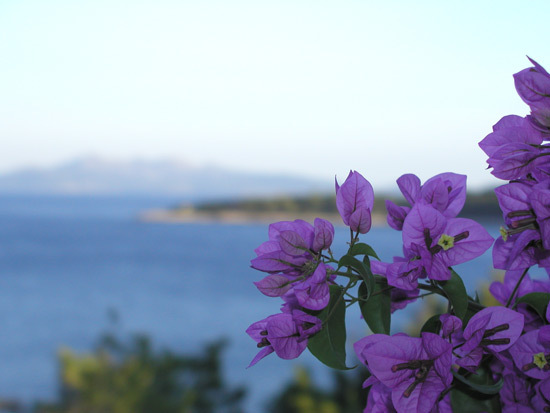 Having coast length of 182 km and archipelago of 48 smaller islands, island Korcula is one of the most attractive islands on the Mediterranean. 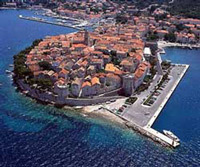 Visit Marco Polo birthplace, see medieval sword dance Moreska in Korcula. Don't miss to enjoy in traditional dances and combats of knights association. If you are religious visit sanctuary of Mary Petkovic of Crucified Jesus and walk through gorgeous alley of linden trees in Blato. 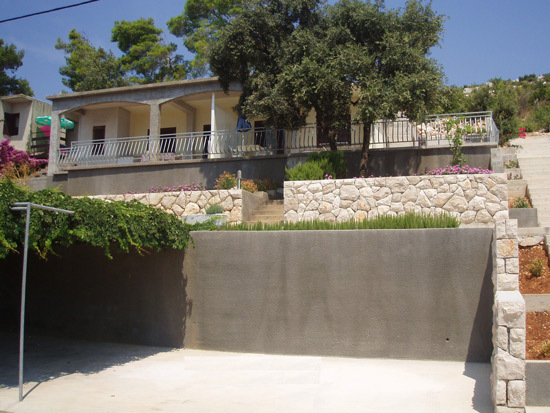 Younger can enjoy great night life in Vela Luka and music concerts in Blato. Taste fine domestic vine and mythical olive oil, enjoy in grilled fish and Dalmatian prosciutto and other Mediterranean food in many restaurants. 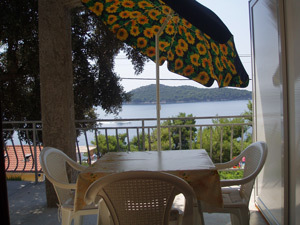 he Apartments Juretic are situated in Prizba bay at south coast of island Korcula. Prizba is a place with beautiful nature and clean blue Adriatic sea. 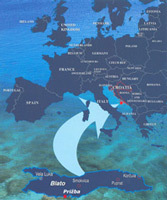 This Mediterranean place is surrounded by five islands and two peninsulas giving its visitors an extraordinary scenery. 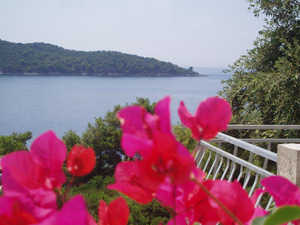 Five islands called Vrhovnjak, Sridnjak, Crklica, Stupa and Cerin are uninhabited and covered with centenary pine trees. 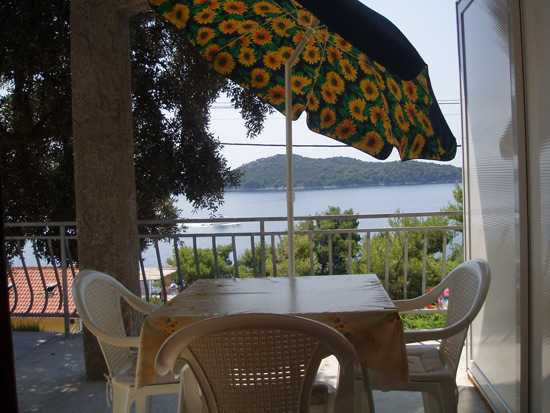 There you can find many places for swimming, sunbathing or sightseeing the inland of islets. Come to hear sound of relaxing cricket's song, come to refresh yourself in bright sea. Spend your perfect summer holidays with us and fill your memories with charm of Mediterranean. 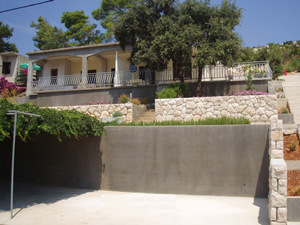 Design by Zeljan Juretic, Copyright 2008.